This work is an interesting take on an important problem which has never been tackled so comprehensively before, but the conclusions are not really sound in my opinion. It is true that even strongly laissez-faire economists often agree that the concentration of capital we've seen in developed countries since the 1980s is hard to explain and even harder to justify; that there are few, if any, arguments that can justify some managers' supersalaries and bonuses; it is also true that almost nobody is happy with the low class mobility and the unconditional self-perpetuating of inherited wealth that is the reality in our world. It is also true that for several decades, the r > g inequality has been true, just like it had been true before the two world wars which were a strong disruptive shock to capital. However, I find it much more difficult to agree with Piketty's fundamental assertion that r > g is somehow inherent in the structure of capital and it can go on indefinitely if we don't tax the hell out of people's property. Piketty rightfully criticizes the Kuznets curve for being too optimistic given the incomplete data on which it is based; at the same time, his own work can be criticized for being too pessimistic for the same reason. He claims there's something inherent in the structure of capital that makes r > g true most of the time unless disrupted by a strong shock or a heavy fiscal, monetary and regulatory policy; but that claim is a bit too bold in my opinion. 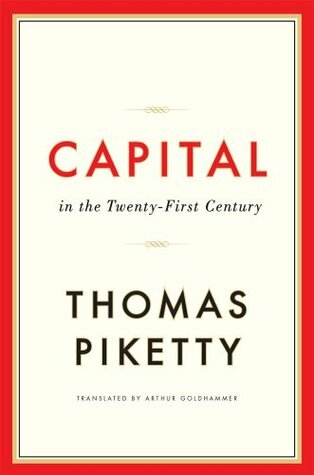 Piketty talks about time preference and speculates that a return on capital of about 5% per year is somehow engraved in our psychology and that's the only reason why it has been the case during most of human history. While this hypothesis does deserve more research, I suspect it might be easily disproven. If, on the other hand, we assume the absence of any intrinsic, structural factors that make r > g true, the beneficial position in which large capitalists have always found themselves could very well be determined by external privileges, many of which are enforced legally and not by market forces. Even in the most laissez-faire periods of human history, governments have made it very easy for capitalists to turn money into more money, even in the absence of real growth. One example of such facilitation is given by Piketty himself, when he describes government budgets fuelled by borrowed money and not by taxes. Here we have an example of money being transferred to the rich from everyone else - not because of some flaw of the market economy, but because of direct government intervention. I'm sure that many more examples can be found that aggravate the difference between r and g.
Economists ought to look into these reasons, and the results would either prove my humble opinion wrong, or they would confirm and correct some serious flaws in this book.